Frank Castle has disabled much of Norman Osborn’s criminal underground, tarnished his well-groomed public image and attempted to assassinate him. Today Osborn returns the favor. 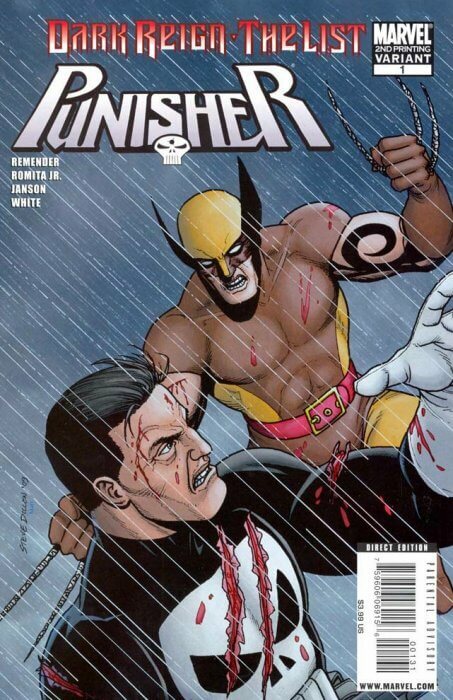 With Frank still torn apart from his battle with the Hood, Osborn dedicates himself and every single HAMMER resource to one goal: killing The Punisher. To make sure they don’t fail, The Dark Avengers are going with them. Somebody has to die. Somebody will. Legendary artist John Romita Jr. returns to The Punisher, joined by regular series writer Rick Remender for this, the most ferocious battle of Frank Castle’s life. Plus, a preview of the next exciting chapter of the Punisher.